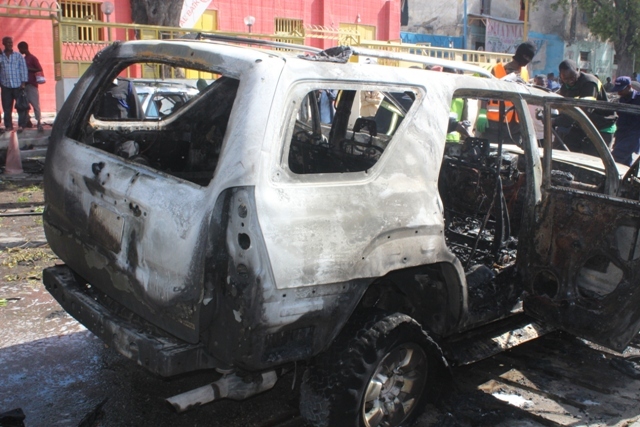 Colonel Hussein Gamal, a senior Somali police officer in Mogadishu, told ArmedPolitics that a car laden with explosives was detonated at Blue Sky restaurant in Mogadishu, targeting Intelligence agents. “A car bomb blast at a parking lot outside Blue Sky restaurant has claimed the lives of five people, including two officers, and a dozen of bystanders have been wounded and taken to hospital,” Gamal said. Al Shabaab, a militant group-linked with Al Qaeda has claimed responsibility for the attack, saying it targeted Somali intelligence officers at the restaurant which lies a few blocks away from Somali government prison. 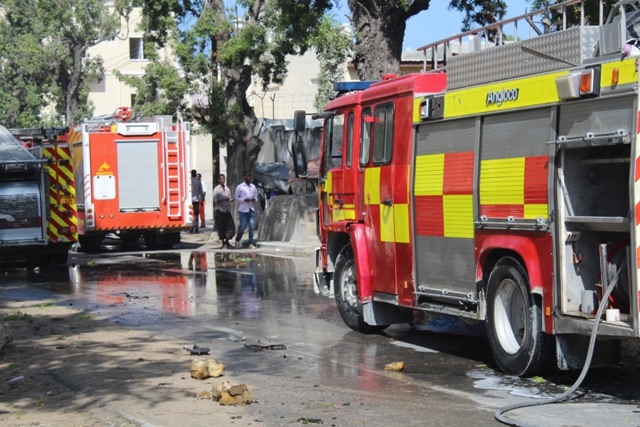 The car bomb blast struck Blue Sky restaurant near Godka Jili’ow, a prison run by Somali National Intelligence and Security Agency (NISA) in Mogadishu, whereby Al Shabaab detainees are being questioned. A witness described the blast as thunderous and deadly that destroyed parts of the restaurant buildings as dozens of customers were having lunch. Black-thick smoke was seen rising from the scene of the car bomb explosion. 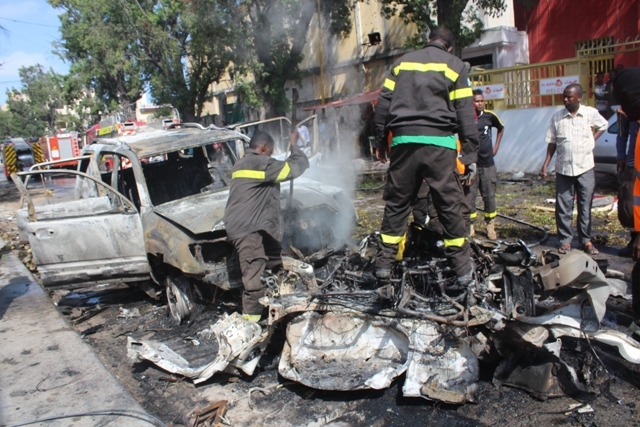 Somali security forces cordoned off the scene near the blast site, and launched an investigation, according to eyewitnesses. The wounded have been taken to a nearby hospital for treatment. Mogadishu, Somali capital has been hit by deadly Al Shabaab attacks on hotels, restaurants and government buildings as the east African country is heading to a general election later this month.